Automatic inventory alerts prevent shortages + missed sales. As consumer expectations continue to evolve one trend is undeniable – immediacy. Consumers want it when they want it. Thanks to online retail giants like Amazon, one to two hour deliveries are becoming more and more commonplace. As a provider of goods, it is your job to meet these increasing difficult deadlines. There are many logistical issues that can prevent you from delivering what your customer needs when they need it. Today, we are going to focus on the one issue that trumps them all – stock. 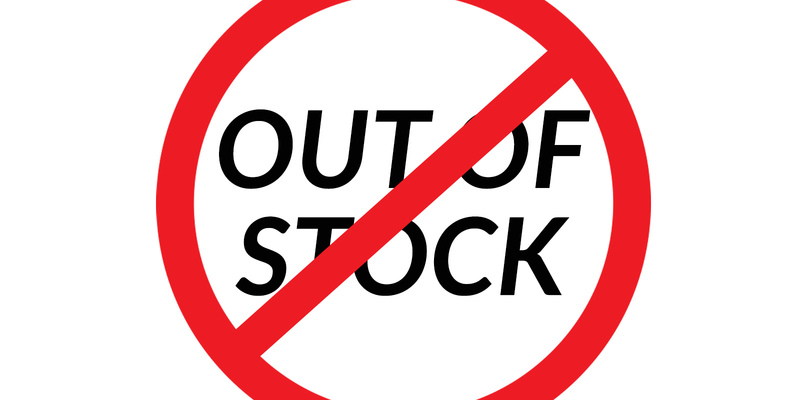 Getting the dreaded “Out of Stock” message will drive your potential clients to another provider in the blink of an eye. How can your company meet the needs of today’s consumer? In the supply chain world having access to accurate, up-to-date inventory levels is essential for making informed decisions regarding your business. Luckily, technology affords us the ability to automate many of the inventory management tasks that previously required manual counts and entries. These technology tools help save time and money and drive revenue to the bottom line. With Scout’s topShelf Inventory Management System, you never need to lose a sale due to lack of inventory. Easily set minimum limits on inventory and receive automatic alerts when product levels reach predetermined lows. With depletion and replenishment alerts, you’ll be able to replace things before your inventory is gone – keeping shoppers happy, and you in business. Depletion and replenishment alerts are just the tip of the iceberg when it comes to topShelf’s Inventory Management System. The cloud-based software offers complete control over nearly every aspect of supply chain management. To learn more about how topShelf can save you time and money, please visit Scout Software or call 651-964-3259.